A few weeks ago I had some friends over for a games night. Everyone brought a snack to share – and there were some good ones. I made a cheese ball to end all cheese balls and I thought I was the queen of the world. Yeah, no. My friend, Stephanie, surprised me by saying she would be bringing a drink. Really? Huh. I don’t usually get the offer of bringing a beverage to a games night, but okay! Here’s the thing. She didn’t bring a drink. She brought the nectar of the GODS! Well, it’s more like a dirty coke, or an easy lime cola slush, but it tasted like a little bit of heaven to me. And now, I’m going to share this amazing recipe with you, my many dearest and closest friends! Blend the ice, limeade, and coconut extract (if using) in a blender until crushed into a slush. 2. Scoop slush mixture into a large chilled glass. Pour in cola. Enjoy! And I mean it – ENJOY! I know I did, that blessed day when Stephanie introduced me. The little bit of coconut flavoring transported me from Canada to a balmy beach in a far off tropical paradise. Plus, I’m pretty sure my heart grew five sizes that day. I know you’ll enjoy the goodness, too! 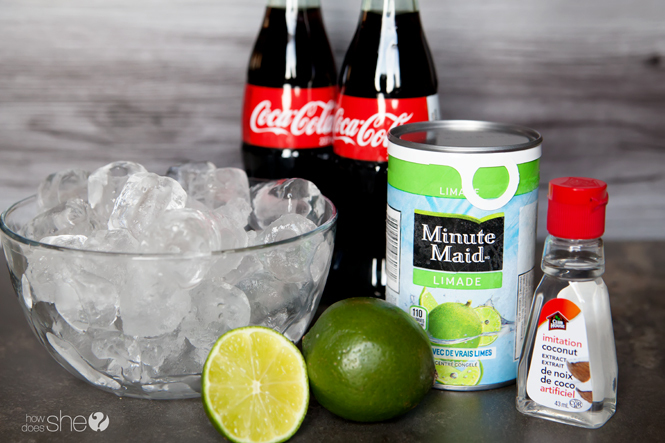 In a blender crush together the ice, limeade, and extract until a slushie consistency. 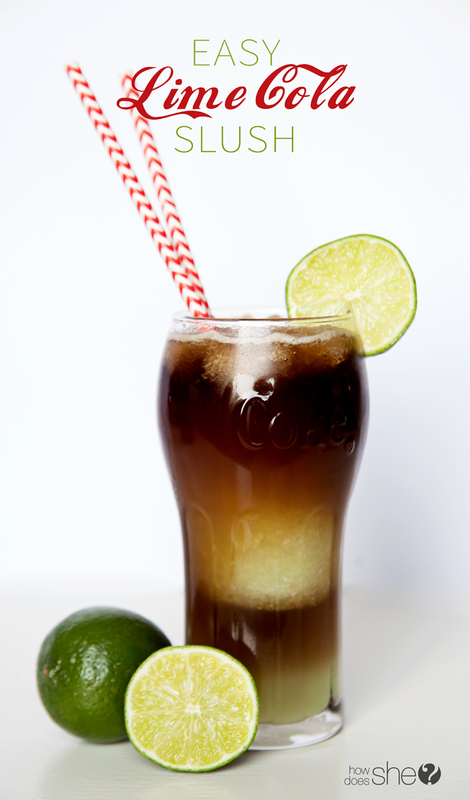 Scoop lime slush into a chilled glass (a little less than half full) and pour in cola. Enjoy! Does this make only one drink? This makes between 4-6 servings, depending on the size of the glass. Hope that helps! This is delicious just as is….but I like to add a splash of half and half! Heaven in a glass!! !